There are currently 5.2 million Americans with Alzheimer’s, but that number is expected to balloon, with one out of eight baby boomers (10 million people) developing the disease in the coming years. Alzheimer’s is incurable–though there are plenty of research initiatives trying to change that–but in the meantime, it’s possible to leverage today’s technology to protect seniors from some of the scariest parts of the disease. One deceptively simple solution: the GPS-enabled shoe. 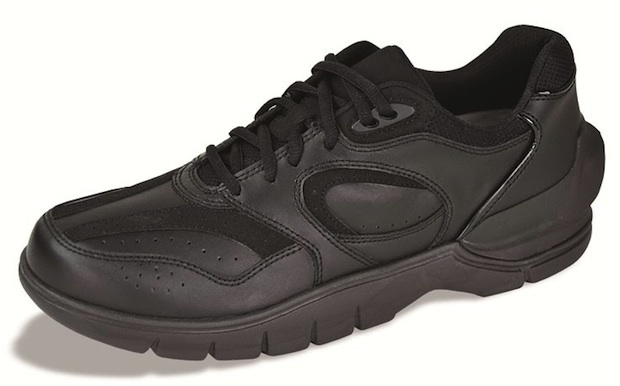 Developed by Aetrex Worldwide and GTX Corp, the GPS Shoe features a location-based tracking service (powered by Omnilink and the MedicAlert Foundation) that alerts caregivers via an app when an Alzheimer’s patient leaves a designated “geo-fenced” area, such as the boundaries of a housing facility. Caregivers can also remotely monitor the location of patients, who may be given more freedom to roam since they can be watched from afar. The whole thing is powered by a mini GPS chip embedded in the shoe, which is made of a tough polycarbonate material that lasts as long as a regular, non-tracking shoe. Unfortunately, the shoe is not that attractive. It’s a minor detail for the product’s target population, but something that should probably be taken into consideration for future models. Because eventually, we imagine that the shoe could be used for everything from tracking children to monitoring the progress of long-distance runners. The GPS Shoe goes on sale this month for $299–no small expense, but the shoe is still comparable in price to GPS bracelets and other clunkier tracking devices. A shoe, at least, is something that everybody wears–and that restores at least a little bit of dignity to Alzheimer’s patients. Bugged.com is the world’s leading provider in TSCM and eavesdropping services. Commission us now for more information.